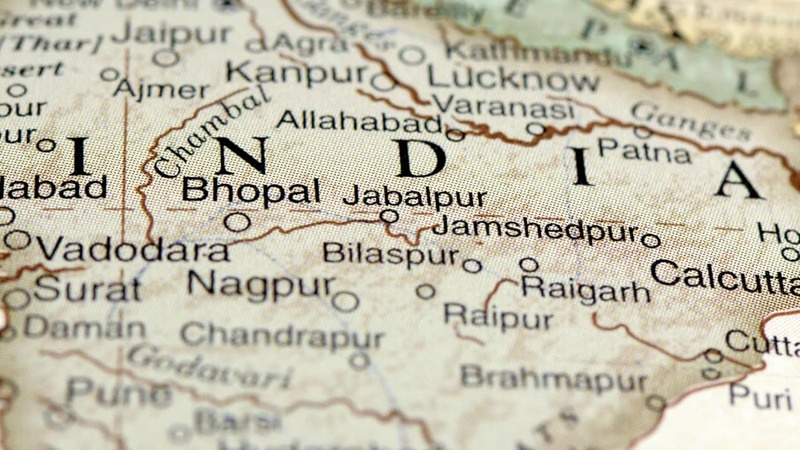 In the evening of December 2, 1984 while half a million nearby residents of Bhopal, India slept, a Union Carbide plant started leaking deadly methyl isocyanate gas creating the world’s worst industrial accident in history. Over 500,000 people were exposed many of whom would ultimately die or become disabled. “A government affidavit in 2006 stated that the leak caused 558,125 injuries, including 38,478 temporary partial injuries and approximately 3,900 severely and permanently disabling injuries. Others estimate that 8,000 died within two weeks, and another 8,000 or more have since died from gas-related diseases,” according to Ingrid Eckerman. In a single horrific instant the world became tragically aware of the dangers of exposure to toxic gases. Exposure to deadly gases has been a problem in industry for almost as long as mankind has dug minerals from the ground and accurate gas detection has meant the difference between life and death. In early coal mines miners used canaries to detect deadly gases. Because canaries are smaller and more sensitive to gas the canaries would drop down dead from exposure to deadly gas before the gas could harm the miners. Astonishingly, this practice continued until 1986, when modern technology replaced the illfated birds3. While this was ostensibly good news for the canaries, the birds soon found that there was very little rewarding work for canaries outside the mining industry. There are two types of industrial gases: deadly gases that form naturally and can harm workers in industries like oil and gas and mining, and deadly gases that are either used in an industrial process or are a byproduct of an industrial process, which pose a very real risk to workers in those industries. Early and accurate detection of gases is the key to safety (even survival) in these industries. Gases can harm you in a variety of ways. Hydrogen sulfate, for example, which is a by-product of industrial process that involves or creates decaying matter, including: petroleum production and refining, sewer and wastewater treatment, agricultural silos and pits, textile manufacturing, pulp and paper processing, food processing, hot asphalt paving, mining4 and other processes in the high enough concentrations can cause rapid unconsciousness, “knockdown” or immediate collapse within one to two breaths, breathing stops, death within minutes and death at higher concentrations. But hydrogen sulfate is nothing compared to botulinum, which in gas form is an order of magnitude more deadly than sarin gas, exposure to botulinum is most likely limited to a laboratory environment but the danger exists, none-the-less. To be sure, working with toxic gases is nothing to be taken lightly, in fact, tens of thousands of workers suffer and die from toxic chemicals, fumes, and dusts each year. Clearly gas exposure is a serious health and safety risk to workers worldwide. Gas need not be chemically toxic to harm workers, however. Gas can displace oxygen making it impossible to breathe, even though the gas itself is not toxic. Explosions from gas make big news, but experts estimate that exposure to toxic gases claims twice as many lives as those deaths caused by exploding gases. Gas exposure tends to happen because gas is often in unexpected places. Sometimes lethal gases are in unexpected locations, sometimes workers enter areas because while they are aware of the presence of gas they under estimate the extent of its toxicity, and sometimes warning or containment devices are either disabled or malfunctioning. What gas(es) are present on this site? What alarms will sound if there is a leak? What do I do if an alarm sounds? What should I do if my personal gas detector alarms? How might I get exposed to this gas? What will happen to me physically if I am exposed to this gas? In what areas of the facility am I most at risk of being exposed to gas? Are there other areas where I might be exposed, however unlikely? Additionally, workers must be told in no uncertain terms that they should never attempt to rescue a coworker without first donning the proper and appropriate PPE. Statistically, workers are more likely to suffer gas exposure while attempting a rescue than at any other time. Training should be done periodically because workers risk tolerance of exposure to the hazards of exposure to gas increases over time. In other words people become less careful and concerned about becoming exposed to gas as time passes and they don’t have any close calls. Retraining workers annually is a good practice, but don’t be afraid to retrain workers more frequently if you see compliance start to slip. Detection takes two forms fixed gas detection systems (stationary devices that detect gas levels in a given area that trigger alarms if gas is detected above a certain concentration and portable gas detectors used or worn by personnel). Choosing the right gas detectors begins by doing a complete risk assessment of your site. Obviously, high risk areas will require redundant systems (for example, both area gas detectors and personal gas detectors as well as restricting access) but areas of medium risk might also require redundant systems simply because damage to a containment vessel, corrosion of pipes, or gas leaks may quickly elevate the status of a medium risk area to high risk in seconds. What gases need to be detected and from where are they likely to originate? A good risk assessment should identify the gases that need to be detected, but don’t be afraid to contact the manufacturers of gas detectors for advice and guidance. Remember, these companies do this for many customers across a broad spectrum of industries and have far more expertise than a single safety professional, no matter what level of experience he or she has. Where is the most likely source or sources of the gas? It stands to reason that knowing where the gas is originating from will help you determine the number and location of fixed gas detectors. When considering the source of the possible gas exposure it’s highly important that you consider the environmental conditions of the area. Temperature can greatly affect the concentration of a gas, ventilation can reduce concentration, and even barometric pressure can affect the concentration, and therefore the threat level of a gas. In addition to these factors, the accuracy of a detector may be adversely affected if the detector is exposed to the elements and is not properly maintained. It is important to consider the ease (and expense) of maintaining a fixed gas detector: the more difficult it is to service and maintain the less likely it will be kept in good working order. Are there regulatory or insurance requirements that will dictate things like remote or off-site alarm notification or daily event data logging and reporting? If so, this will most certainly impact the type and even number of stationary gas detectors you will need. In addition to fixed gas detecting systems, it is wise to have personal gas detectors worn and/or carried by personnel working in or around areas that could contain lethal gas levels. Portable gas detectors are essential in many areas where gas hazards could occur, because they are the only means of monitoring an operator’s breathing zone continuously, while stationary and moving.9 Because portable gas detectors meet the legal definition of PPE in most locations they are governed by all regulations and policies relative to the use, maintenance and storage of PPE. Are areas where the gas concentrations are likely to occur suitable for a fixed gas detection system? Some areas may be inaccessible, or exposed to the elements that may damage a fixed gas detector, or there is nothing to which one can affix the detector etc. Are the gas clouds likely to move, become concentrated in small areas with poor ventilation, or reach toxic thresholds in unexpected areas? Does routine ventilation contain sufficient concentrations of gas that the alarms would sound inappropriately? Are there multiple gases from which workers require protection? Are there tasks that require workers to enter areas where the concentration of gas might pose a threat to workers entering the area for short periods of time (as opposed to working for a prolonged period)? Are the types of gases to which the workers are exposed variable? For example, in one area of the site the workers are in danger of exposure to one kind of gas, while they are exposed to another type in another area. Are there multiple types of toxic gas present? Even after you have the answers to all of these it’s wise to engage an expert (ideally a manufacturer) for advice; gas detection is too important to miss a finer point of your particular situation and choose an inappropriate type. Of course the best protection against exposure to toxic gas is to prevent the toxic gas from entering the workplace in the first place, but as is so often the case, this is more easily said than done. When containing gas, it is important that we remember the properties of gas. Gas – as a state of a material – acts very differently than solids and liquids. According to experts in chemistry at Perdue University, “Gases have three characteristic properties: firstly they are easy to compress; secondly they expand to fill their containers; and thirdly they occupy far more space than the liquids or solids from which they form.” What this means for containment is that even a small breach in the containment vessel (tank, pipeline, etc.) can release high concentrations of gas in a very short amount of time. One key to containment is regular and complete inspections of the gas container using portable monitors to detect leaks and a rigorous Total Productive Maintenance (TPM) programme to ensure leaks are prevented before any gas escapes. Secondly, because gases expand to fill their containers, a room, poorly ventilated area, or confined space can reach toxic concentrations in a very short time. In addition to having alarms on these areas, companies should check these areas with portable detectors frequently and restrict access to these areas to essential personnel only. It’s also worth mentioning that the ventilation of an area can be effected by numerous factors so when it comes to containing gas, one can never be complacent about which areas may or may not contain lethal concentration of escaping gas. Additionally, the inspection and calibration of gas detection devices (both fixed and portable) is essential. While one should always follow the manufacturer’s recommendations for calibration it is always a good policy to include calibration of all gas monitors on a TPM schedule. Also, in the event that the circumstances of your use of gas or the physical configuration of your site should change (or if someone has tampered with or modified a gas detection device in any way) it is essential to contact the manufacturer immediately to ensure that the device is still viable and appropriate in this new situation. The time to consider how to deal with an emergency that has the potential to expose workers or the surrounding community is well before anything happens. In the case of a gas leak every second counts so a quick, decisive and orderly response is essential and this begins with a good Emergency Action Plan (EAP). Clear and unambiguous triggers for executing the plan. As mentioned earlier in this article in a gas leak seconds count, so no time can be lost deciding whether or not to respond to the incident. It should be made very clear the criteria for executing the Emergency Action Plan (EAP). Definitive identification of the ‘personin- charge’ of both the EAP and the chain-of-command. When everyone is responsible for something, then no one is really responsible. A good EAP will identify the ultimate owner of the plan and a chain-of-command so that everyone knows who will be doing what, and who assumes an absent team member’s duties. Evacuation procedures and identification of all exit routes. In general, a single evacuation route is neither advisable nor effective, but in many cases geography may limit your ability to have an alternate evacuation route. The evacuation route should identify rally points where workers gather after the site has been evacuated so all workers can be accounted for, and evacuation routes should be posted in multiple areas of the site. First-aid and rescue duty assignments. While the plan must identify qualified first-aid and rescue duty assignments, it should also make it very clear that no one should attempt a rescue of someone who may have been exposed to gas without first donning the proper PPE. All employees should be allowed to sound the alarm if they even suspect the release of a toxic gas and the EAP should define the process and procedure for stopping work and sounding the alarm. The suspected area should be restricted until it can be proven free from hazards. Procedures for employees who remain behind. In some cases, some workers will be required to remain behind to shut off equipment, ensure toxic or explosive chemicals are secured, or wait with an injured worker until first responders arrive. In these cases, strict protocols designed to subject these workers to the lowest possible risk are essential. Procedures for accounting of all employees after evacuation, or upon a shelter-in-place emergency. Once at the rally point, the person in charge of implementing the EAP must have a means of quickly ascertaining who is present and who is absent. Often first responders needlessly risk their lives, and even lose them, looking for someone who had already vacated the premises. Procedures for critical operation shutdown. In many cases, the site simply cannot be hastily abandoned and critical operations must be shut down before the site can be evacuated. The emergency plan must clearly identify the “who?” “what?” “why?” “where?” and “how long?” of the procedure for shutting down critical operations. Having an EAP, while important, is useless unless all workers understand it and are able to execute the plan without hesitation. As previously stated, the EAP should be part of your safety training. Additionally, all visitors to the site should be provided with an overview of your EAP and how to respond to an alarm. Sites should have frequent practice drills in how to respond to an emergency. By having frequent drills workers become able to execute emergency procedures without even thinking. Drills also tend to allow workers to remain calm during an actual emergency and better able to survive and even avoid exposure to toxic gasses.